Over the years several Comic book companies have cautiously entered the realm of the Horror Icons. Freddy, Jason, Ash, Michael Myers, Leatherface, Pinhead, all have seen print with varying degrees of success. Chaos comics released a handful of Halloween books that connected to the universe created in the movies and were actually pretty damn good. In 2005 Avatar Press came out all guns blazing and gave us brand new comics based on; Friday The 13th, A Nightmare On Elm Street and The Texas Chainsaw Massacre. Even Jason X got a run further down the line. 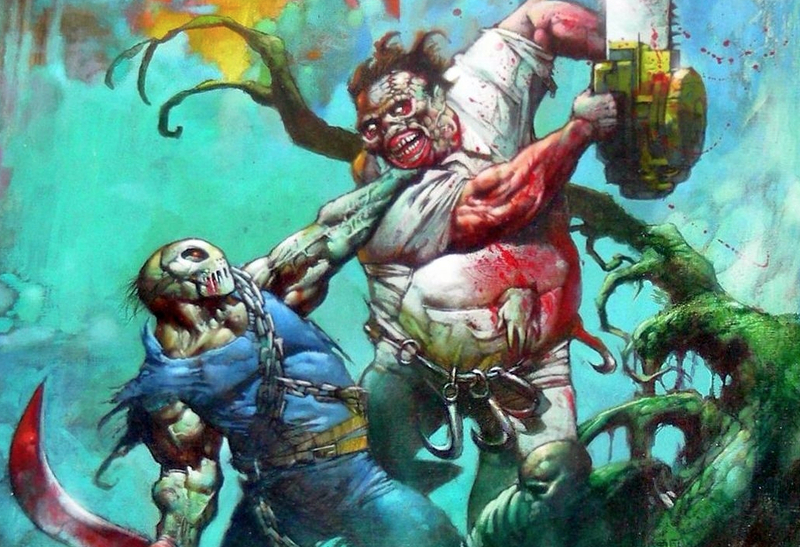 Wildstorm Productions together with Dynamite Entertainment unleashed ‘Freddy vs. Jason vs. Ash’ in 2007 to positive reviews, but after the dust settled my personal favourite Horror comic of this type still remains a three issue mini-series from 1995 which goes by the name of Jason vs. Leatherface! Published by the now defunct Topps Comics the mini-series brought together two of the most popular silent killers in Cinema, and by silent I mean they don’t talk, crack jokes or play with their victims … They just kill. A challenging task, but author and comic writer Nancy A. Collins delivers a fascinating look at both of the hulking murderers without changing what they are and who they are. The story can be loosely connected to certain movies but it mostly exists in its own Universe. Everything is familiar but with a refreshing pinch of originality and energy. The artwork by Jeff Butler & Steve Montano is clean, crisp and does justice to the characters, especially Jason who looks fantastic. 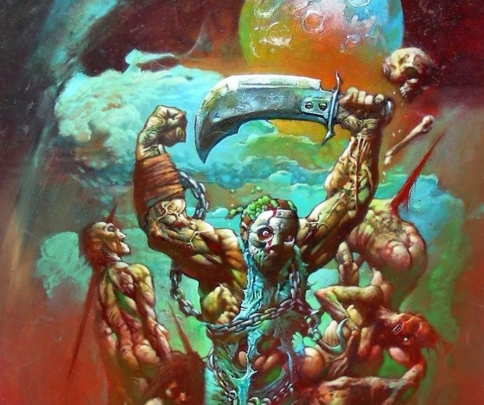 As a Brit I MUST also give a special mention to the covers by living legend Simon Bisley. I grew up worshipping his art in 2000ad and here he has basically painted a masterpiece for each issue! They are exceptional … If I could own just one piece of original comic book cover art it would be his Jason from issue 3. 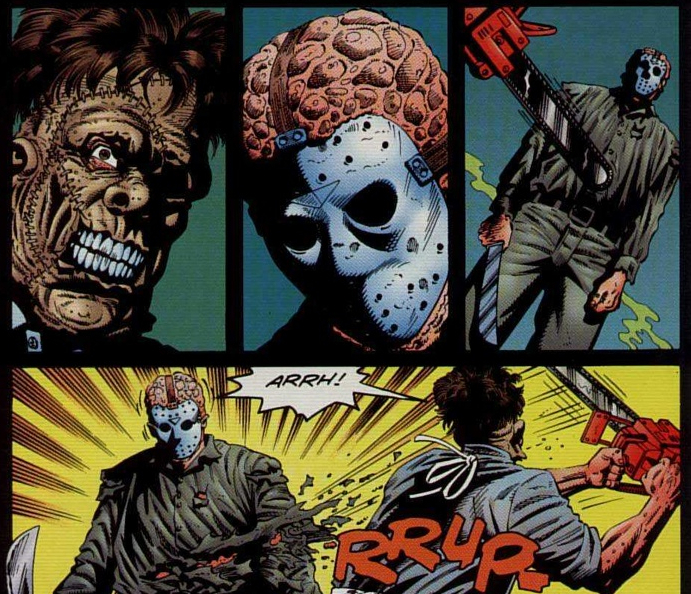 Halloween Love: How did you get involved with writing the ‘Jason Vs Leatherface’ comic book mini-series? HL: When you entered the project were you a fan of the more popular “Horror-icon” characters such as Jason and Freddy? HL: Did someone or something put you on the creative/writing path or did you find your way there on your own? HL: Do you have a favourite Horror movie? … Or at least a favourite ‘type’ of Horror? HL: Finally, If you, Nancy A. Collins could spend some time talking with any fictional character from Movies, Comics, Books and TV … Who would it be? On behalf of myself and everyone here at Halloween love I’d like to say a huge thank you To Nancy for taking the time to answer my questions and allowing me to share them here. To sum up, if you haven’t read this comic book series and you have a passion for the characters then seek it out. You get brutal kills, humour, subtle tragedy and of course, Jason VS Leatherface!